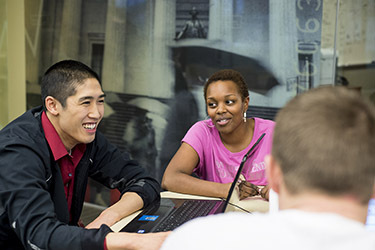 We offer a variety of student-lead organizations to help you explore careers in business. Each club determines its own objectives and activities for members. By participating in one or more clubs, you will meet professionals who are already successful in their business careers and network with students who are majoring in an area that interests you. By taking on an officer position, you demonstrate to future employers that you have proven leadership and organizational skills and you can make life-long friends during college and beyond. Explore and join one or more of the following clubs today. All clubs are open to all Wright State students regardless of your major.